In the icy waters of the northern Pacific, a top-secret mission threatens to explode into a nuclear crisis . . .
A Russian military spy sub lies marooned in American waters near the U.S.-Canadian border. Yuri Kirov, a seasoned security officer, is in charge of the crew's safety--and the operation's success. His only hope is to make a death-defying underwater escape, reach shore undetected, and convince a total stranger that the fate of the world depends on helping him. For software engineer Laura Newman, it's not an easy choice. But with two Russian spies tailing them, and tensions escalating between superpowers, one wrong move could trigger unthinkable devastation. 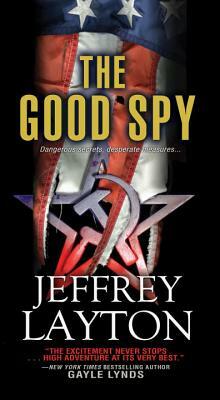 In the tradition of Tom Clancy's The Hunt for Red October, this electrifying novel of espionage is a gripping tale of danger, courage, and daring decisions. Includes an exciting excerpt from the next Yuri Kirov thriller, The Forever Spy. Jeffrey Layton is the author of the acclaimed thrillers Blowout, Warhead, and Vortex One. He is a professional engineer who specializes in coastal engineering. Jeff uses his knowledge of diving, yachting, offshore engineering and underwater warfare in the novels he writes. He lives in the Pacific Northwest. Please visit him at www.jeffreylayton.com.